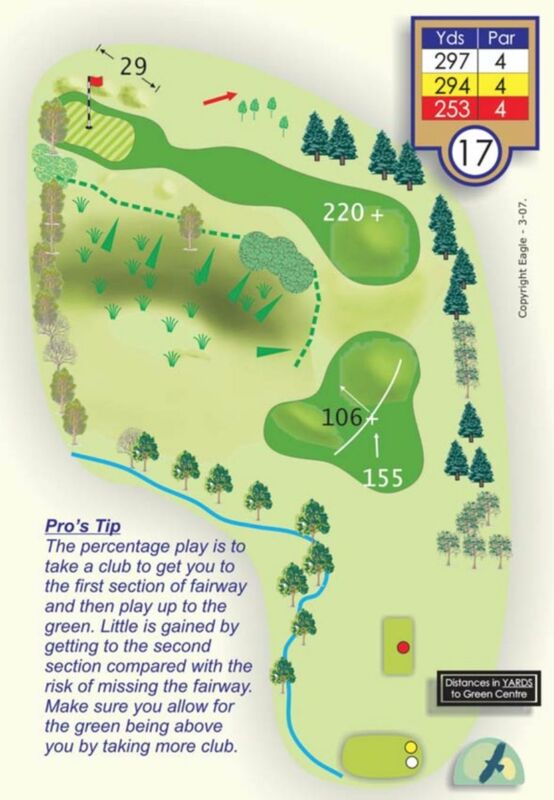 A par 4 with similar choices to the 10th at the Belfry. The longer hitters can try for the green with a wood but will the reward outweigh the risk! Most of us mortals will opt to play a mid iron to the bottom of the slope leaving a short iron left to a small raised green. Although this hole requires only two irons, beware trouble lurks around every corner.